Science Fiction and Fantasy Book Giveaway! Hey, gang! 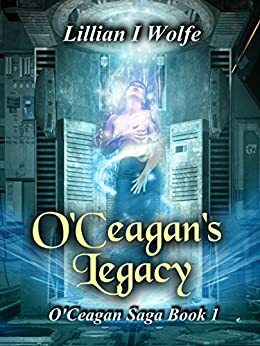 I am absolutely thrilled to have my Sci-Fi fantasy book O’Ceagan’s Legacy included in this Sixty Book Giveaway on Prolific Works that begins tomorrow and runs through the 26th. This is a great opportunity to pick up not only my complete novel, but many other great reads by many fantastic genre authors. Check it out and grab yourself some good books for FREE! While you’re at it, nab a copy of O’Ceagan’s Legacy. If you like it, please consider leaving a review to help others find it, Besides, I want to know if you’re enjoying it or not. Sometimes a legacy is little more than a noble name or title, or it’s something more tangible and valuable. For Grania O’Ceagan, her family’s legacy may prove more extraordinary than she ever expected. On Earth, the last of the O’Ceagan family on the planet dies. The spirit tasked with announcing death to this particular bloodline completes the rites for the old woman, then makes an unprecedented decision as she turns her eyes to the stars. When her grandfather takes ill, Grania captains the family space freighter on a routine run from Erinnua to Earth. Picking up passengers wasn’t a part of the plan, but it will add to the profitability of the trip. A ship-threatening event during a jump and the motives of her passengers test Grania’s training and judgment in an emergency that could destroy all of them. Does she have what it takes to save her ship and crew? O’Ceagan’s Legacy is a fun space fantasy with action, adventure, and a touch of romance. In other news… my recent release in this same universe, In Strange Waters, is now available in paperback on Amazon.com. For a shape shifter stranded on a distant world, water is life itself; the main thing that makes his self-imposed exile tolerable. Set in the same universe as O’Ceagan’s Legacy, this tale takes the reader on an adventure with the shape-shifting puca as he explores his new home. Want to read this book for free? Adding a little more excitement to the free book promotion, I will be making the eBook version of In Strange Waters free for five days in February beginning the 13th. By the way, if you have Kindle Unlimited, you can read In Strange Waters for free right now!